Everyone gets nervous once in a while. For example, it is normal to feel a bit jittery before an important event. It could be before a job interview, a first date, some kind of public speaking or a sporting tournament. Feeling this way is a normal human emotion. The nervous feelings (what many call butterflies) are short-lived and usually go away once the stressful event is over. Anxiety is when those negative feelings are more than just short-term. It’s when they don’t seem to go away, or come to you for what feels like no reason. These feelings can be strong enough to the point where they affect your life, your relationships, your job or even your health. Thankfully, anxiety is a condition like any other that can be managed and treated. 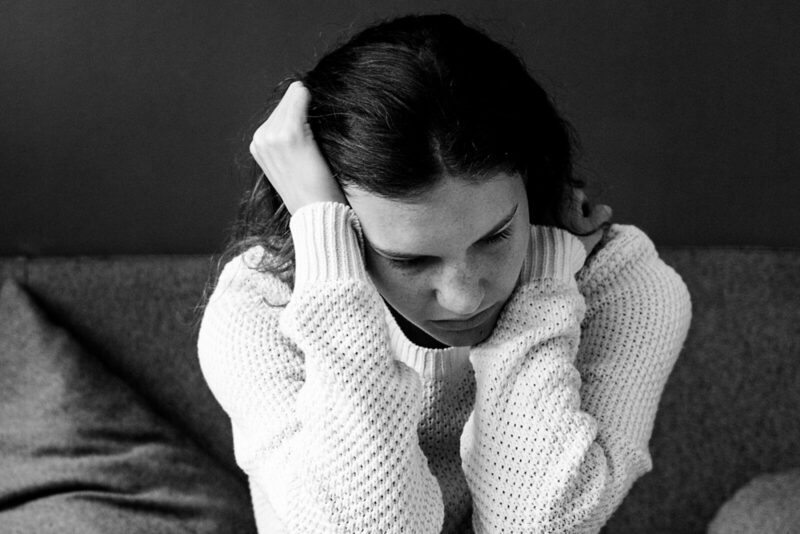 Anxiety is the second most common mental health diagnosis after depression across northern, western and central Melbourne. In fact, one study estimated that 19.9 per cent of this population experience anxiety or depression (14.6 per cent in men and 25.0 in women). One in five Australians will experience a mental health condition each year and one in two will do so in their lifetime. As you can see, many people feel this way at some point in their lives. Constant worry that does not go away can start to affect your daily life. Although anxiety itself is very common, the way that those feelings are experienced can be very different between individuals. Anxiety can be felt as both emotional and physical symptoms. Here are some common examples. Worrying often is a common sign of anxiety. This could take the form of imagining “worst-case-scenarios” before they happen. It might be social situations (thinking “everyone there hates me” at a function or party) or fear for your health (“the stomach pain is probably cancer”). You might worry about switching off appliances like the heater, stove, hair straightener or oven, or worrying that you forgot to lock the car or front door. Excessive worry about the safety or wellbeing of pets or loved ones can also be a sign of anxiety. In some cases, this worry can be so intense that it changes your behaviour in ways that affect your relationships or quality of life. For example, turning back the car to double-check that the appliances were turned off (beyond what is ‘sensible’) or being overly protective of a loved one can strain a relationship or disrupt life. It is perfectly normal to feel uneasy about upcoming stressful situations. With strong feelings of anxiety, however, this urge can grow into more than just a nagging fear that passes once the situation has gone. Instead of just feeling nervousness beforehand, someone might go to great lengths to physically avoid certain situations. For example, you might avoid driving on the freeway even if it takes you much longer to get somewhere. Others who dread flying might catch a long train ride or drive thousands of kilometres to avoid a few hours of flying. A flood of negative thoughts are often ‘front of mind’ with someone who is experiencing constant worry. Being so preoccupied with strong negative thoughts could lead to difficulty in focussing and communicating. Important things (paying bills, work tasks or social catch-ups) might be delayed or accidentally forgotten because you’re so distracted with worrying. The effect of being ‘on edge’ because of excessive worry could also affect your listening and communication skills. You might be distracted by negative thoughts, your mind might jump from topic to topic, you might find that you’re not hearing people, or that you’re interrupting them in conversation. This in turn could start to affect your relationships. Bruxism is the medical term for jaw clenching. This is when you grind your teeth. It can be associated with anxiety. It can happen during sleep or when you are awake. It can cause jaw soreness and muscle pain. In more serious cases it can cause dental problems and sharp headaches. There are various ways of dealing with both the physical and emotional symptoms of teeth grinding. For example, some health professionals treat it with a mouth plate (a fitted insert similar to a mouth guard). There is often a mental health component too. Always consult a medical professional if you are concerned about teeth grinding symptoms. It is common to experience anxious thoughts as we fall asleep. We are ‘in our heads’ at this time because there are no distractions once the light goes off. These worries are often called intrusive thoughts. Stressful situations (which may not even have happened yet) could get re-played in your mind, or different concerns could build up until they seem overwhelming. In some cases, anxiety can also be linked to nightmares. You know what a poor night’s sleep feels like. You feel flat, irritable and you find it difficult to concentrate. Quality of sleep absolutely affects mental health and can also affect long-term physical health. Drinking alcohol is a widely accepted part of Australian culture. Smoking is also common, although its popularity has been decreasing. Drug use is also widespread. There are a huge number of reasons why people drink alcohol, smoke tobacco and use drugs. While they are often complex and inter-related, one of the main reasons is that it makes them feel good, confident or more socially outgoing. That is, drug taking is a recreational thing to do. However, drinking, smoking and drug taking can also be a sign of underlying anxiety. The behaviour might be a symptom of trying to make those feelings go away, instead of an outlet for enjoyment. All substances (legal or otherwise) can harm if consumed in sufficient quantities. For example, there are the hangovers and risk-taking behaviours from drinking; the effects on health and nicotine withdrawal from smoking; and risk-taking behaviours or financial and even legal problems from drug use. This can cause underlying anxious feelings to actually be made worse. Unhealthy food is widely available in our society. In many ways, our brains are programmed to enjoy sugary and fatty foods. No wonder most of us overindulge once in a while on ‘bad’ food, such as at a celebration. Eating to excess can be associated with anxiety. Sometimes called emotional eating, this is when food is eaten when you are experiencing feelings of emotional stress, rather than when you are hungry. In some cases this can result in over-eating that affects physical health, mental health (e.g. self-esteem) and could lead to further feelings of heightened anxiety. There are many other signs and symptoms. You might ‘twitch’ or sweat or you’re a nail or skin-picker. Others experience stomach ‘butterflies’ that can get so intense that their breathing increases, they feel panicked, or are physically ill. Others still block out negative feelings by using their smartphones, playing games, watching video or spending hours on social media. As mentioned, anxiety affects everyone differently. However, this behaviour can often have the effect of making those anxious feelings stronger. A major life event like an impending birth or marriage. Abuse (sexual, physical or emotional). Living with a chronic illness (e.g. diabetes). Anxiety can begin when you have another mental health condition. For example, you may have depression and anxiety at the same time. A history of anxiety in your family may also contribute to it (but this doesn’t mean that you will develop anxiety). As mentioned, alcohol and drug use can also trigger anxiety. Worry and stress, although not pleasant, are normal human emotions. However, if these feelings don’t seem to go away, then remember that many other people are experiencing similar feelings. Anxiety is not embarrassing or something to be ashamed about. Quite often, talking about it can be very helpful. This might feel unusual for someone if they were brought up in a household where mental health or anxiety was not usually discussed. Anxiety is complex, and sometimes you won’t be able to identify its cause. A CAREinMIND counsellor can help talk you through your worries and concerns. Phone counselling in languages other than English is also an option through the Translating and Interpreting Service (TIS).